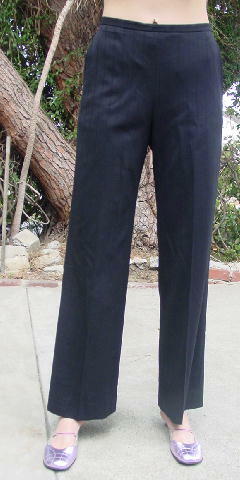 These 98% virgin wool and 2% elastan black pants have a black pocket lining that is 100% rayon. 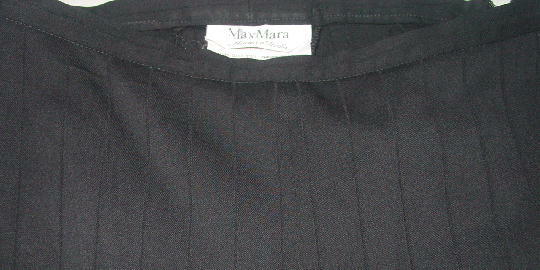 The pants have a vertical indented line pattern, a 6 5/8" long left side zipper, and upper angled pockets. There is a 1/2" wide waistband. 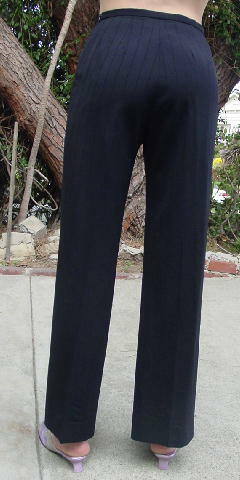 The tag says size US 4.
waist to hem 41 3/4"